Jonathan’s work has been shown at various exhibitions and shows in the UK and Abroad and by his gallery Connaught Brown of London, most recently at TEFAF in Maastricht and the new British Art Fair in London. 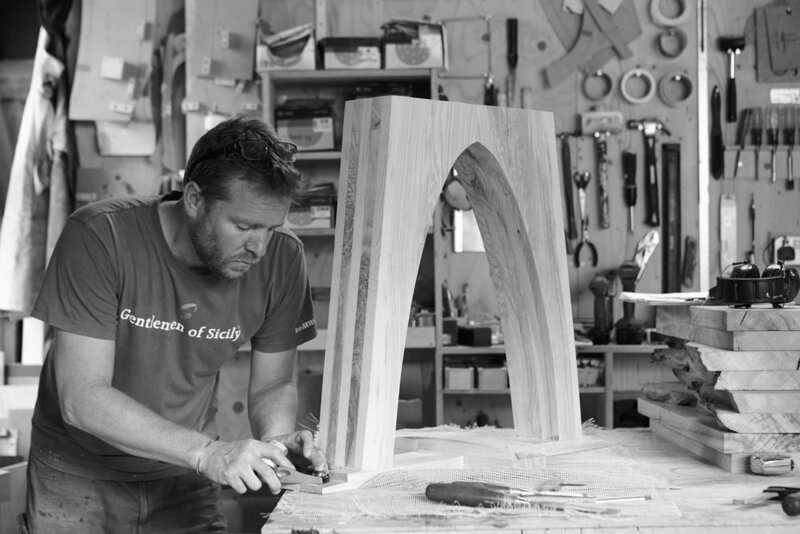 Jonathan is a member of the Worshipful Company of Furniture Makers. He was delighted to be awarded a bespoke guild mark award for an edition of ten chairs in rippled ash completed in 2017. "I like the elegant simplicity of a table to be found at the centre of the home. It is a pleasing thought that a large proportion of my commissions are for tables, the significance of which resonates with me as a symbol of meeting and coming together". Andy joined the business in the middle of 2013 and has since become a key member. He has had an interesting career in the restaurant industry and is widely travelled, before training for a diploma in fine furniture making. He brings to his work a precise care and attention to detail, coupled with a consistent quality of overview and workmanship that enhances the look and feel of the furniture.